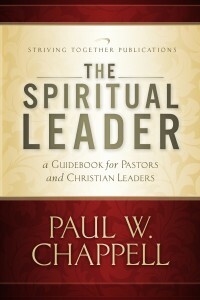 As a pastor, I desire to motivate my people to achieve spiritual goals. I desire to motivate my staff to strive fore continuous improvement. Yet motivation itself is not enough, for all methods of motivation are not equal. I’ve learned over the years that there are both biblical and unbiblical ways to motivate people. How do we biblically motivate God’s people? How can we know that the service taking place in our church is truly the result of “growing in grace”? Guilt or Shame—There is a difference between guilt and conviction. Guilt brings condemnation and shame. Conviction leads to repentance and growth. Anger—The ministry and the pulpit have no room for unrighteous anger (James 1:20). Shepherds don’t beat sheep, they lead them. Manipulation—This preempts and bypasses the work of the Holy Spirit. Fighting—We are to contend for the faith, but we are not to have a spirit that simply wants to “pick a fight” (2 Timothy 2:24). Intimidation—Never use your position of authority to “lord over” people and to get them to do what you want them to do (1 Peter 5:2–3). The love of God—When you get a fresh glimpse of God’s love, a heart-level desire to live for Him wells up in your life. His love for you and your love for Him are the purest of all motivations (2 Corinthians 5:14). The grace of God—God’s grace creates a joyful, sweet, willing-hearted disposition. When people serve God out of guilt, they ultimately resent the leader and possibly even the Christian life! When they serve Him out of grace, they willingly, joyfully, and selflessly continue in faithfulness. “Thou therefore, my son, be strong in the grace that is in Christ Jesus” (2 Timothy 2:1). The Word of God—You will never go wrong using Scripture to motivate. God’s Word is powerful and it effectually works in the hearts of men. “All scripture is given by inspiration of God, and is profitable for doctrine, for reproof, for correction, for instruction in righteousness: That the man of God may be perfect, throughly furnished unto all good works” (2 Timothy 3:16–17). The people of God—God commands us to provoke each other to good works: “And let us consider one another to provoke unto love and to good works: Not forsaking the assembling of ourselves together, as the manner of some is; but exhorting one another: and so much the more, as ye see the day approaching” (Hebrews 10:24–25). One of the greatest motivators in a church family is the godly example and encouragement of other Christian friends. May God help each of us to remain motivated and motivating in God’s work through God’s grace.